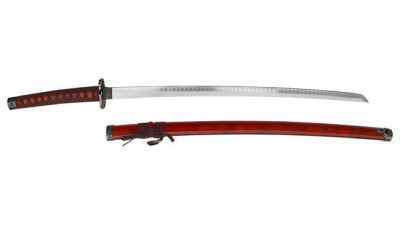 This incredible sword is very popular with fans of Final Fantasy and cosplayers alike. Your Final Fantasy Sephiroth costume wouldn't be complete without a final fantasy Sephiroth sword. 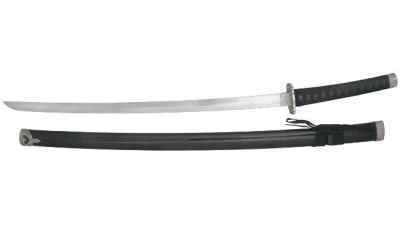 This sword is very popular as the length and style of the no dachi are exactly like the famous piece carried by the Final Fantasy Sephiroth character. This piece is a full 68" overall with a 50" blade ! 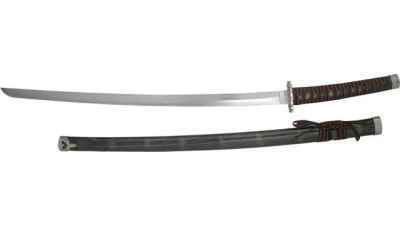 These swords are intended for display or costume wear only. If you are looking for fantasy inspired swords that are hand forged and functional, please view our Functional Fantasy Swords section.